Whether you’ve been up and down on the weight-loss roller coaster for years, or if this is your first serious attempt to lose weight, your chance for success skyrockets when you participate in a medical weight-loss program. 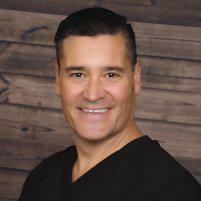 Keith Smigiel, FNP-C, DC, FIAMA, at ReGen Pain & Wellness offers a comprehensive weight-loss program that includes diet and nutrition guidance, medications and injections to accelerate your weight loss, and the ongoing encouragement you need to stay motivated. To start your personalized medical weight-loss program, schedule an appointment by calling the office in Scottsdale, Arizona, or using the online booking feature. How can I benefit from a medical weight-loss program? 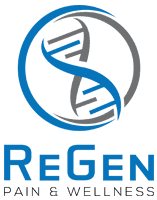 When you participate in the medical weight-loss program at ReGen Pain & Wellness, you’ll receive medications that help you lose weight, as well as ongoing medical care to ensure you stay healthy throughout your program. One of the most valuable benefits is this: You gain the ongoing support and encouragement of a team of professionals who care about your success. They provide the information you need to establish a healthy lifestyle, and they hold you accountable for reaching your weight-loss goals. What should I expect during medical weight loss? When you come to your first visit, you’ll complete a questionnaire and answer questions about your medical history. Then you’ll undergo a complete blood panel and thorough medical evaluation, including your weight and body mass index (BMI). During your initial visit, you receive Dr. Smigiel’s medical weight-loss protocol. After tailoring it to meet your health needs and goals, he explains how the protocol works and why it’s so effective. You also receive an appetite suppressant and a lipotropic injection. The team at ReGen Pain & Wellness teaches you a way of eating that’s enjoyable and nutritious, and supports a healthy weight. You’ll have appointments every week so they can monitor your progress, answer your questions, dispense medications, and continue to offer encouragement. Dr. Smigiel also injects vitamin B12, which is often included with MIC injections to support your energy while you lose weight. Vitamin B12 helps build red blood cells and keeps your nerves healthy. It’s also essential for energy production. How do hCG injections promote weight loss? Human chorionic gonadotropin (hCG) is a hormone that’s naturally produced during pregnancy. However, men and women have a small amount of hCG in their body all the time. When hCG injections are combined with a low-calorie diet, the hormone triggers fat burning. In addition to enhancing weight loss, the fat released from storage may help prevent hunger even though you’re consuming very few calories. If you’re ready to lose weight once and for all, call ReGen Pain & Wellness or book an appointment online.